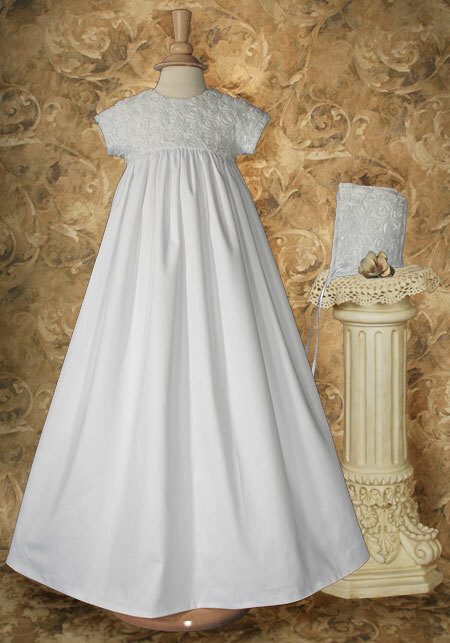 Absolutely stunning 32” christening gown with rosette netting covered bodice and sleeves. 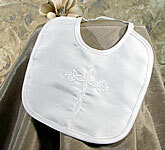 Hand made in the USA using elegant 100% cotton sateen fabric. Includes matching bonnet & separate slip. Dry cleaning recommended. Ships on padded heirloom preservation hanger and zippered vinyl garment bag. Optional Heirloom Preservation Bag recommended for long term storage.